YZDOC - CA Good stuff "Don’t let the color fool you, it’s orange and actually works great. 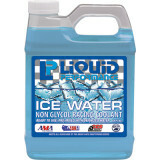 Better than Engine Ice. However, don’t order it with clothing as Motosport packing department has no brains. All my clothing got soaked from the coolant opening in transport. Poor packing, in an oversized box. 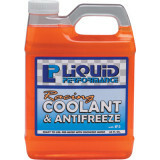 :("
Savage Buy it "If you want to ride on the track you have to use this if you dont and you get a leak with stock fluid your dead in a corner reason stock products have oil in them this product dont"